Lizzie is still down for the count. Hopefully this week the long arm doctor will travel here and get her running and ready to go. Linda and I have been clearing up UFOs so it is not a total waste. We also have been trying some new things. Sometimes you need to just chill out and do whatever else you can find to do. During this down time I learned to cut. I can hear most of you “surely you jest.” Well hello for all these years I have been quilting my number one cutter was Little Precious. A rotary cutter never touched my hands. I think Little Precious is tired of cutting because he sure has gotten behind in his job. Maybe he is just taking a much needed rest. Today Linda showed me how to cut. I had some idea and have done some parts of the cutting but I never have squared up a block. She showed me a really easy way to square up the blocks. I decided I was going to work on Anita’s Arrowhead. The creator of this is Anita Grossman Solomon. This was particular technique was featured in Quiltmaker Magazine 2011. I am not sure of the month. I probably have it written down in the sewing studio and I will look for it when I go back to the studio. I decided on using a beige background for my blocks. I may go ahead and change that while I have not made a lot of the blocks. I think I would like it to have a more scappy look. I do not know.. I may and I may not. You can never tell about me. One thing for sure I will just do what feels good the day I start on it. 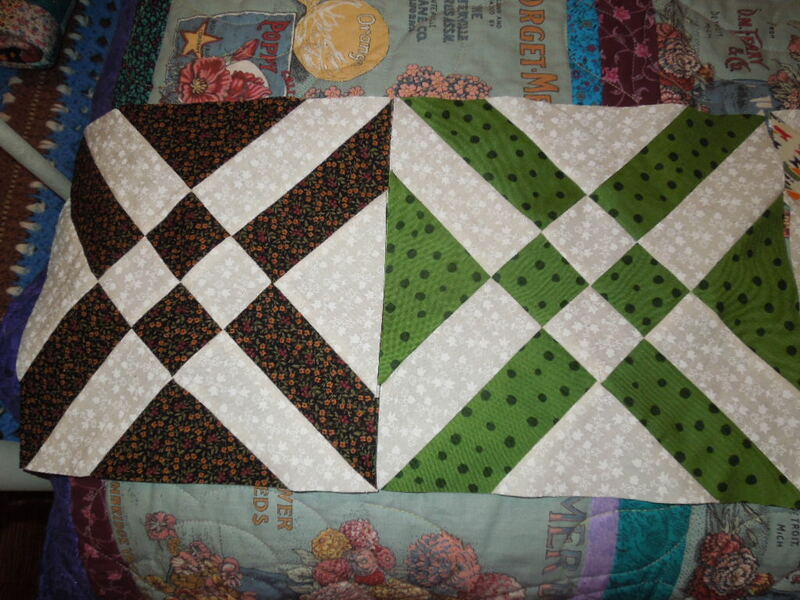 Here are the blocks I got finished today. Do not pay attention to the purples in the background. It is not a part of the quilt. It was an actual quilt on the bed. I just placed the blocks down so I could keep up with how many I had. I think I will finish it out with this beige and these blocks are so easy I will start another one with different colors. 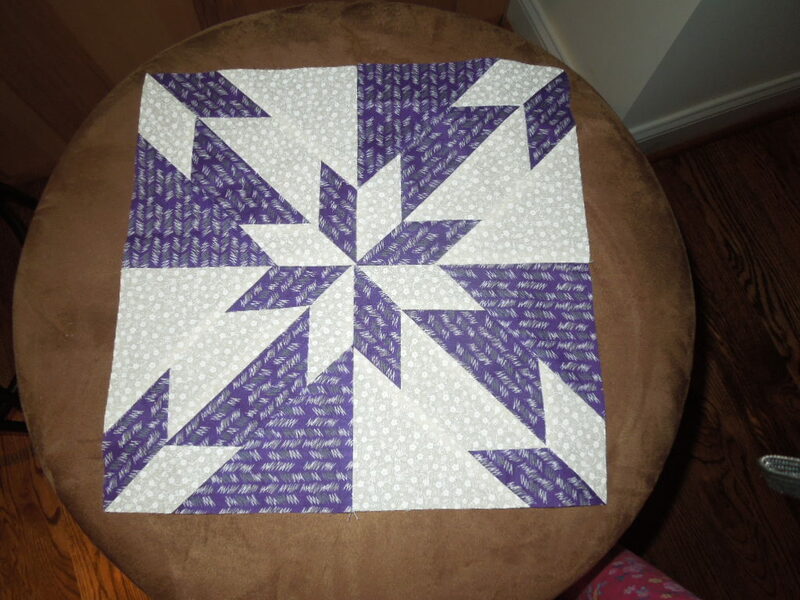 Linda was working Hunter Star Quilt by Dianne Gilley. It was very easy to put the blocks together and she as really enjoying them. I was amazed at how perfectly they all matched up. 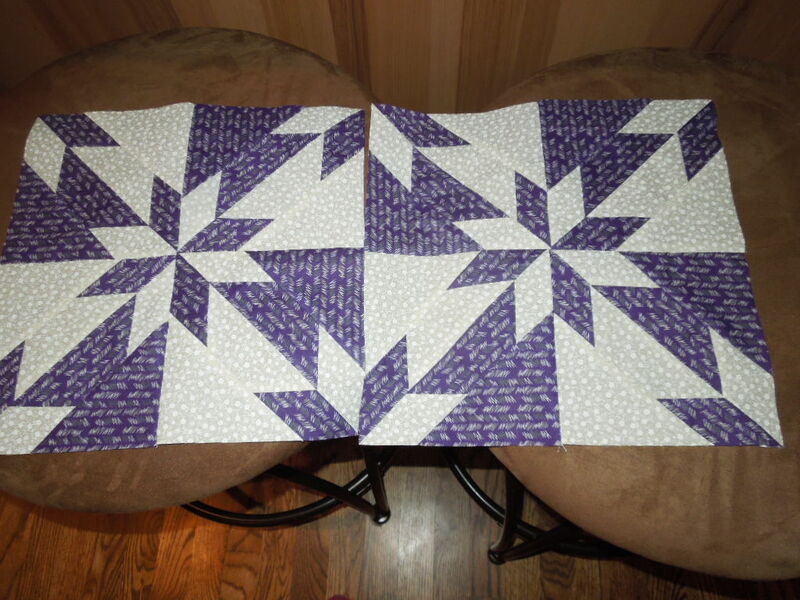 I think this is going to be a really beautiful quilt but then when does Linda create a quilt that is not beautiful? Here are her blocks. If you look closely you will tell you have to put four small blocks together to make one big block.. then when you put two blocks together you can see how the star points are going to work out.. I really like this block. I am going to do one next maybe out of African print fabrics. This was VERY EASY. If you find this pattern at your local quilt store and want to do something very pretty and very easy I suggest either one of the quilts here today. 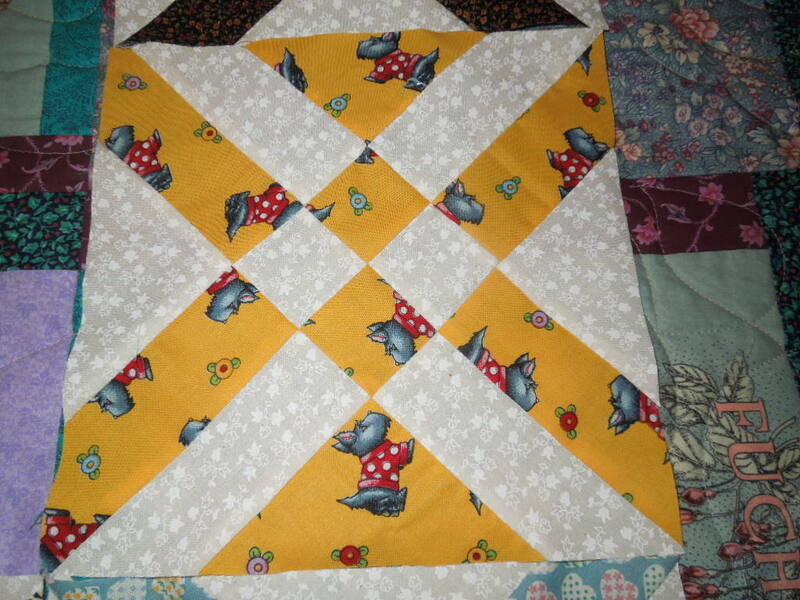 I am going to be working all week on Anita’s Arrowhead and Linda’s homework is on her Hunter Star quilt. I was telling Precious that I was working on Anita’s Arrowhead and he said “who makes a quilt called Anita’s AIRHEAD.” Pray for me America! He is a character. To make it worse he was serious. Well I shall be working all week on my homework and Linda has homework. We hope Lizzie gets up and running real soon. She just has a tiny problem. Nothing major I hope. I think we have decided every other Sunday we are going to have a “snow day.” We call it that because it is like work, when it snows you can not report to work. Ok Lizzie is sick so we can not long arm. Just having nice snow days and with 90 degree temps this week I may welcome some snow this winter. No as it always goes I will be fussing because how cold it is and waiting on summer, summer gets her and I am fussing how hot waiting on winter.. You know we are never satisfied are we? This entry was posted in Tin Lizzie. Bookmark the permalink. 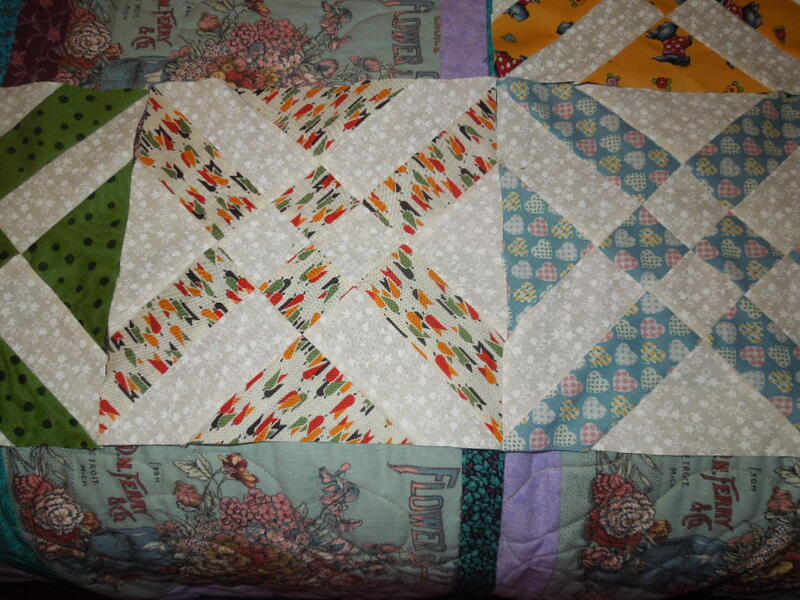 tops done and quilted before you know it. I met Anita at a quilt guild meeting a couple of years ago. 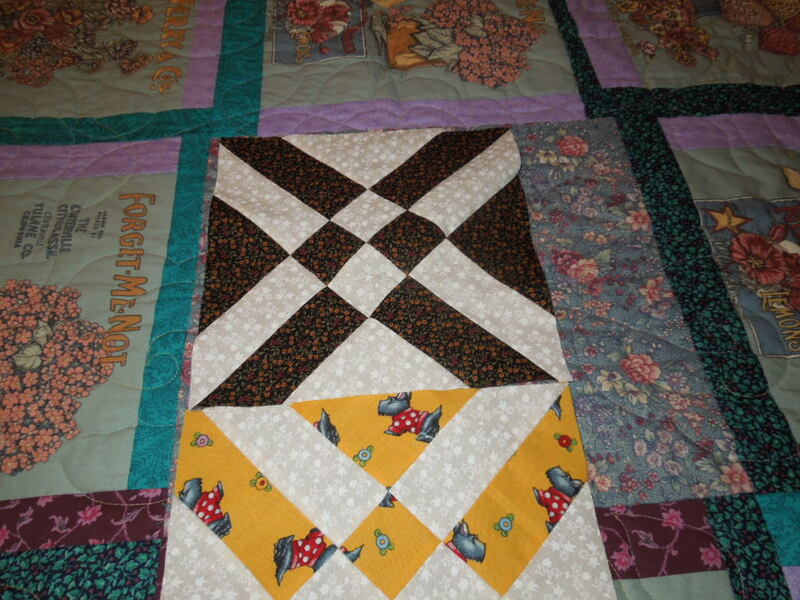 Several ladies in my Quilts of Valor group made her arrowhead block for quilts (not me). I may try a Hunters Star one day. Cheryl you will LOVE the Hunters Star.. and I love the “AIRHEAD” blocks..